bars | WHY DO WE LOVE CHOCOLATE? 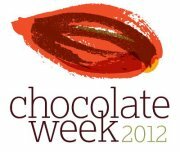 A two day chocolate show featuring top chocolatiers and chocolate companies from around the world. During this great event Chocolate Ecstasy Tours (Jennifer Earle) is following some of my products, I’m very greatfull to her and would like to support her, I really hope you all support her with buying some of my best chocolates, bars or other exciting products! Thanks and enjoy this wonderfull event. Truffels Special 90% nocciola Piemonte “tonda gentile”, cacaopowder not alkalized “ElCeibo”. Fortunato & cranberries, pommegranate, goji, pistachios and Grenada milk 38% & hazelnuts. Chocolate Ecstasy Tours guide locals and tourists around London to some of the finest chocolate shops for the ultimate chocolate experience. Founded in 2006 by Jennifer Earle, a true chocoholic, she and her specially-selected chocoholic guides share their passion for all things chocolate with fellow chocolate lovers and offer a VIP treatment into the dark (and milk) side of the very best chocolate in London. Whether you’ve lived in London your whole life or you’re just visiting, spend time a few hours relaxing and enjoying a walk around gorgeous London side streets and alleys, spoiling yourself with some of the most incredible chocolate in the world. On the exclusive Chocolate Ecstasy Tours for you and a maximum of 12 other people, you will receive special attention and learn all the chocolate secrets London has to offer.